Researchers at UNH have captured a difficult-to-view singular event involving “magnetic reconnection” — the process by which sparse particles and energy around Earth collide producing a quick but mighty explosion — in the Earth’s magnetotail, the magnetic environment that trails behind the planet. The findings, published in the journal Science, advance our understanding of these solar events that spark auroras and could wreak havoc on power grids. 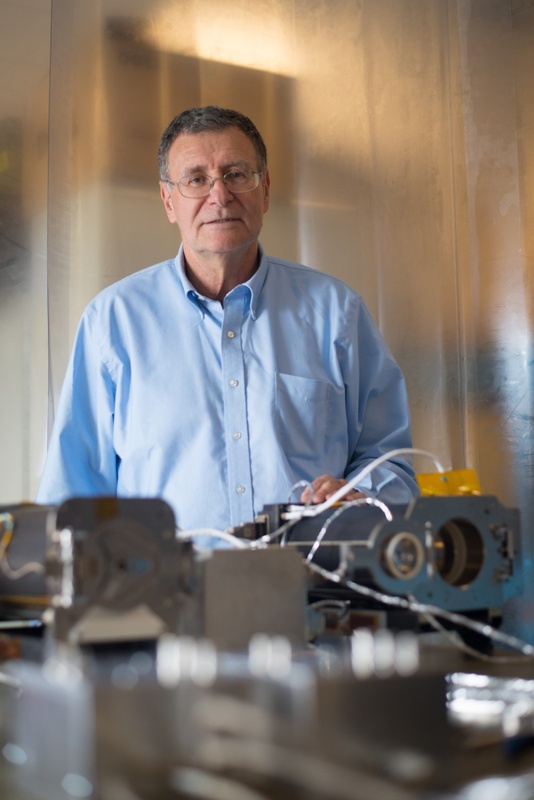 Roy Torbert, professor of physics and deputy principal investigator for NASA’s Magnetospheric Multiscale mission. Credit: Scott Ripley, UNH. Magnetic reconnection has remained a mystery to scientists. They know it exists and have documented the effects that the energy explosions can have, but they haven’t completely understood the details. In this study, the scientists outline the first views of the critical details of how this energy conversion process works in the Earth’s magnetotail. For the first reported asymmetrical event on Oct. 16, 2015, and now this symmetrical event on July 11, 2017, NASA's MMS mission made history by flying through magnetic reconnection events near the Earth. The four MMS spacecrafts launched from a single rocket were only inside the events for a few seconds, but the instruments which UNH researchers helped to develop were able to gather data at an unprecedented speed of one hundred times faster than ever before. As a result, for the first time, scientists could track the way the magnetic fields changed, new electric fields presented, as well as the speeds and direction of the various charged particles. Space Science Center researchers Matthew Argall, Charles Farrugia, Ivan Dors, Hans Vaith, Christoforos Mouikis and Akhtar Ardakani were among the co-authors of this study. This work was funded by the National Aeronautics and Space Administration, or NASA.